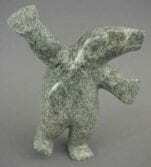 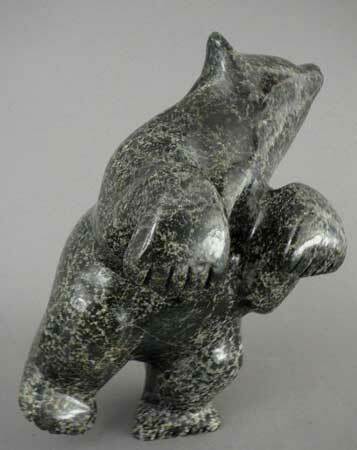 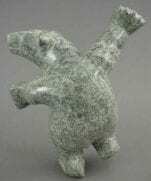 A lively, chunky, very stable dancing bear. 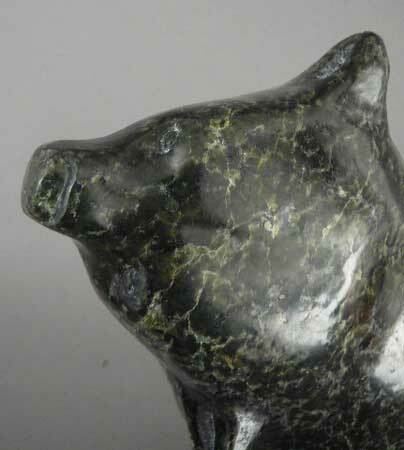 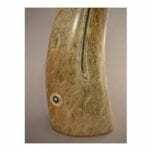 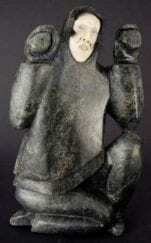 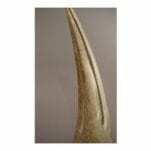 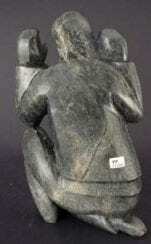 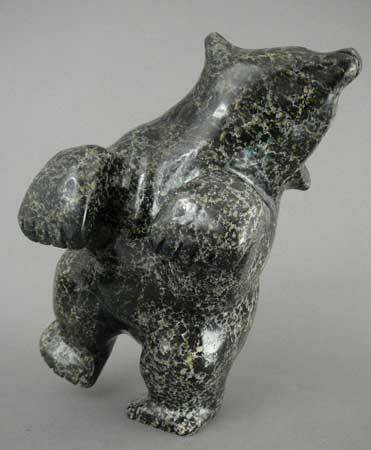 Carved from a beautiful piece of dark green serpentine with ochre and blue highlights by Johnny Papigatok, an Inuit artist from Cape Dorset, Nunavut. 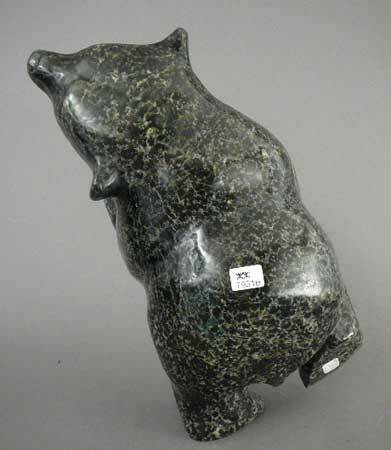 This bear will surely bring a smile to your face.